How do I share my podcast on SoundCloud? Pippa makes it easy to publish your podcast episodes directly to your SoundCloud account. SoundCloud is a great destination for music, and you may want to share your podcast there too. Pippa makes it easy to share your podcast episodes directly to your SoundCloud account. 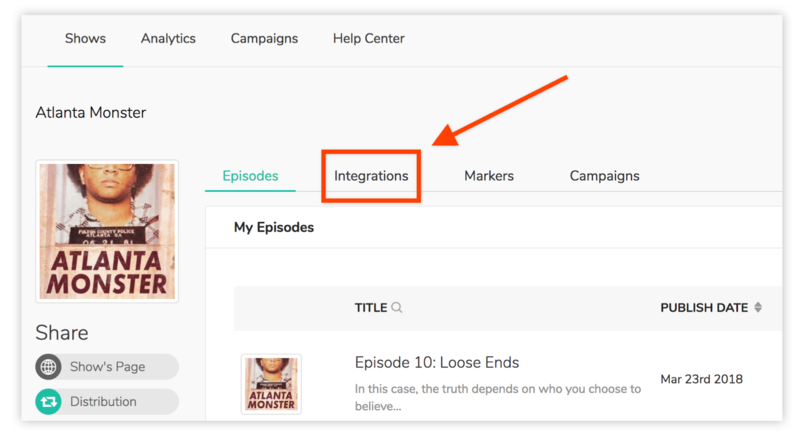 For podcasters on Pippa's Influencer or Pro plans, go to your show and you'll see an Integrations tab. Enable the SoundCloud switch there, and you'll be prompted to log into SoundCloud to give Pippa permission to post to SoundCloud. 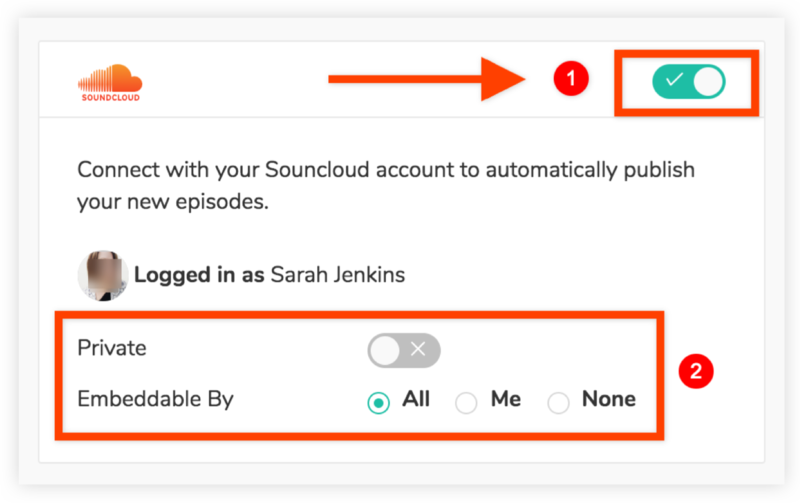 Then you can configure additional SoundCloud settings, like whether you want your episode on SoundCloud to be private, or embeddable. Thereafter, new episodes will automatically be published to SoundCloud when you publish them on Pippa! In the Share panel on the left, you'll see a SoundCloud button. Click that to trigger the SoundCloud uploader. How long does it take to publish to SoundCloud? It can take a little while for SoundCloud to process the episode, usually about fifteen minutes. Can I publish older episodes to SoundCloud? Do I need a special kind of SoundCloud account plan or level to use this? Pippa's uploader will work with any SoundCloud plan, including their free plan. However, the number of episodes you can have on SoundCloud is limited by the SoundCloud plan you are on.